Be part of a happy social care workforce with great and growing development opportunities. See the latest opportunities to become a Barking and Dagenham social worker. When Russ Bellenie started as Barking and Dagenham Council’s new principal social worker one thing stood out. The training and career development offer. Those opportunities are many and varied but include regular masterclasses that bring children’s and adults’ social workers together to explore new practice themes with experts in their field. Linnett Whittaker, the borough’s organisational development manager, says the masterclasses have proved an immense hit. But that is only the start because the development opportunities on offer in the east London borough are about to grow even bigger. This September, the North East London Teaching Partnership launches. 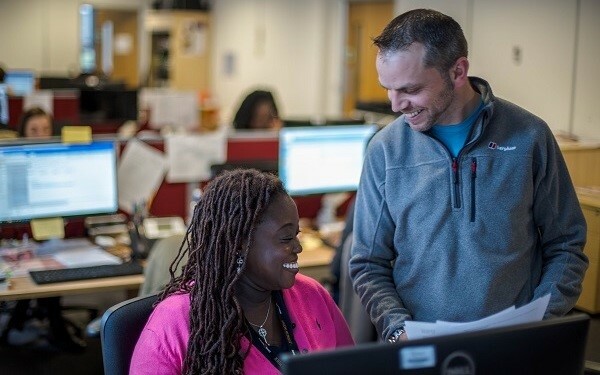 The partnership brings together Barking and Dagenham, four other London boroughs, the University of East London and London Metropolitan University to ramp up the learning opportunities for social workers – and those seeking to join the profession. Russ says the benefit of the new teaching partnership is that it will provide practitioners with a journey in regard to their overall practice development and career progression. A wrap-around programme of development that starts from the moment a student enters a social work course and supports their progression right through their career. And the opportunities the partnership will give Barking and Dagenham social workers go beyond better training. There will also be greater scope for social workers to contribute to the development of the next generation of the profession, adds Linnett. “It’s a great feeling as a social worker to be able to share your knowledge of frontline practice with new students who are eager to learn,” she says. The partnership element is going to be exciting too. 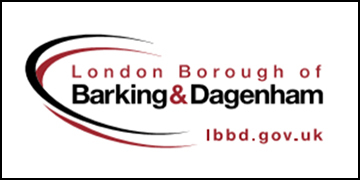 It’s going to allow for more sharing of outstanding practice between Barking and Dagenham and the four other authorities in the teaching partnership: Havering, Newham, Redbridge and Tower Hamlets. Russ is also full of praise for the positive and open-minded attitude of the two universities involved in the partnership. “One thing I’ve noticed is that both the University of East London and London Metropolitan University have been collaborative in their approach,” he says. For Barking and Dagenham, the new teaching partnership is a logical extension of its own social work culture. “This is a borough that is very forward thinking, is interested in innovation and is very flexible when it comes to new ways of working and new ideas,” says Russ. Want to be part of a happy social care workforce with great and growing development opportunities? See the latest opportunities to become a Barking and Dagenham social worker.